Deputy Green Party leader Amelia Womack is seeking nomination to stand for the Welsh Assembly, it was announced tonight. Womack aims to become the first Green elected to the Welsh Assembly, after handing in her nomination papers to the Welsh Green Party on Thursday. The GPEW Deputy Leader is seeking to stand for the First Past the Post constituency of Cardiff Central – the university seat in the heart of Wales’ capital – and the proportionally-elected seat of South Wales Central, under Wales’ Additional Member System for electing the Senedd. Once nominations have closed on Friday, members will be able to vote on the order of the party list and will decide on candidates for the constituency seats. 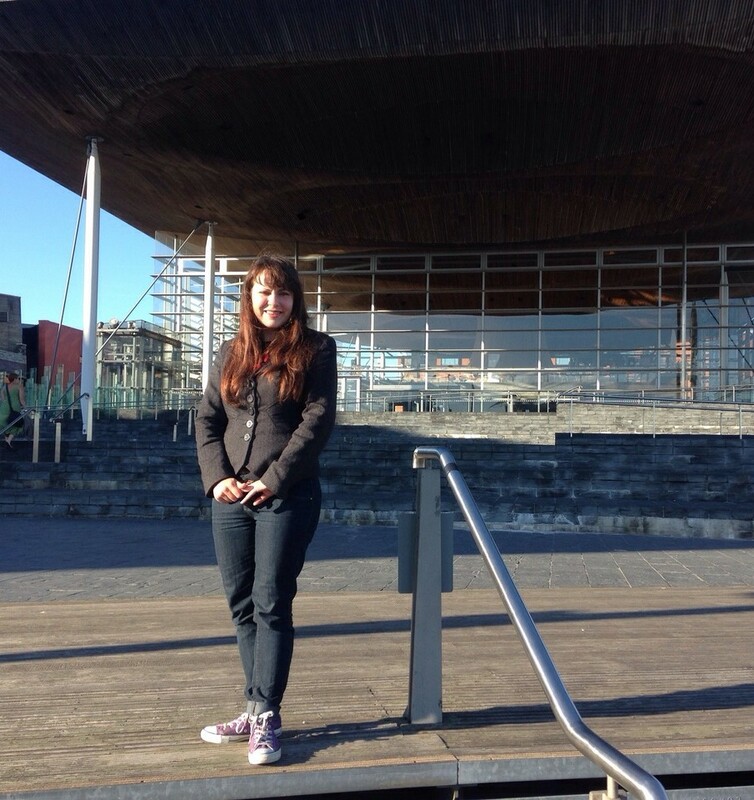 “I am excited to be running for selection for the Welsh Assembly next year. This is our opportunity for the Green Party to provide a platform for radical change across Wales. “Our country needs a Green voice more than ever, and the May elections offer a genuine chance to make that a reality. 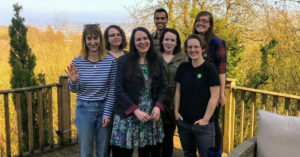 a lot of green party members werent happy with some of the decisions taken by greens in brighton trevor – but saying that we should be pleased with the progressive things they did do. Such as introducing a living wage, dramatic improvements in road safety as a result of speed limits and traffic calming measures, a non eviction policy for council tenants in arrears because of the bedroom tax and becoming the first local authority in england to end the ‘right to buy’. 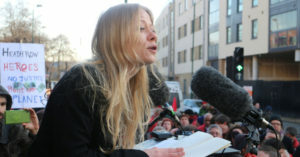 Further during the entire period of green control of brighton local government was enduring the worst cuts from central government in living history. you were by all accounts trevor a dedicated party activist in your community before your resignation following your failure to secure the nomination as green party candidate in the general election. And while this must have been a great disappointment to you it’s sad to see that since then you appear to have become increasingly embittered, and taken it upon yourself to publicly trash the green party at every opportunity. im sure youve noticed that working class people across britain are presently facing the biggest onslaught since the 1930s, and im proud to see that green party figures like caroline lucas, natalie bennet and amelia womack have been at the forefront of the growing anti austerity movement. the green party arent the ‘enemy’ trevor – the enemy are this right wing tory government of multimillionaires. perhaps you might like to spend some time putting the boot into them? rather than constantly attacking a party that went into the recent general election with the most progressive manifesto british politics has seen in decades. I put the boot into all bourgeois opportunist politics David, and was critical of the right-wing within the Green Party even when I was a member. And can we get this straight. My leaving the Green Party had sod all to do with me not being selected as Green Party candidate for Greenwich & Woolwich. It was never my intention to be the parliamentary candidate, hence letting my membership lapse after the 2014 local elections, as despite being the nearest Green Party candidate to being elected onto Greenwich Council, for the second election, I was already disillusioned with the Green Party because of the actions in Brighton and lack of leadership on the issue by Natalie Bennett. The only reason I offered myself up as a potential candidate was out of a sense of duty to others who I(wrongly)believed were “comrades”,after no other activist wanted to do it and the only person standing for nomination was an opportunist who had never done any Green Party activity. I first argued that it would be better not to stand a candidate rather than some bloke who we had never met before and knew nothing about. Only then did I reluctantly put myself forward. When a political party picks someone who has never any work for it (in the Greenwich branch’s case they picked two, and as we know, James Parker defected back to Labour on the eve of election), and selects someone on the basis of their ethnicity, one knows that the said party has abandoned any principles it once possessed and has become as opportunistic as all the rest of the bourgeois parties. If the Green Party leadership ever decides to admit it was wrong not to condemn it councillors in Brighton, the only example we have of what the Green Party do when it has any power, the slate can be wiped clean. Until such time, I will criticise those actions from outside the party just as I did when I was a member and an activist. Cheers for clarifying matters with regards to your decision to leave trevor – but i honestly see nothing in what youve said that you could not have said while still a member. Given your record of activism im sure you dont need me to tell you that we can achieve far more collectively than we ever could as individuals, i would urge you then to reconsider your decision and rejoin. Given some of the personal and insulting comments made about me by some Greenwich branch members, in addition to insulting remarks about a long-term health condition, there is not one iota of a chance of me ever rejoining the Green Party. This whole episode was very eye-opening regarding the vicious nature of some people who claimed to be purveyors of a more peaceful and equitable society. Best not to mention the Green Party’s support for austerity cuts and joining with Labour and Conservatives in condemning striking council workers before they lost control (albeit minority,as we’re constantly reminded as some sort of justification for attacks on the Working Class)of Brighton & Hove Council. Oh, and let’s not forget supporting the establishment of a new “Free School” in Brighton, despite it being against Green Party policy. Not sure if that constitutes “radical change”, but maybe it does to some. It’s a totally unrealistic expectation for the Green Party to implement Green Party policies when they don’t have enough votes to implement them. No Green majority and no supporting party on the council. Your criticism is totally unfair. Greens aren’t to blame. Labour are the Tories are. Total crap, but I’ve come to expect that from bourgeois opportunist apologists. 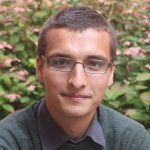 Nobody forced the majority of Green Party councillors to vote through austerity cuts. Three of them and a former Green Party matched their words with action and took a principled stand, just a shame the others were just spouting rhetoric.